UPDATE: it looks like Scott Jehl has already beaten me to the punch, so check out his github project! So I don’t forget it. To see if anyone else agrees, disagrees, or sees any flaws in the idea. <image data-alt="Some image" data-width="300px" data-height="300px"
And now for the fun part – we can use document.getElementById(‘my_image’).style.backgroundImage to get the right image! <img style="width: 300px; height: 300px;" src="/images/high-dpi/image.jpg"
Which should make it happy with screen readers and other similar systems. It (hopefully) will be relatively close to whatever is selected for moving forward in a browser integrated solution, as it fits with the patterns already established. So that’s it. That’s my master plan. What do you think? How to fix the heck out of your Brother Control Center in OS X! If you have (or use) a Brother printer, you know EXACTLY what I am talking about. EVERY time you restart your computer, you get the obnoxious control center which wants to run an install (on a printer you probably don’t have connected) and takes a minimum of 2 (3 in my case) clicks to dismiss, and it’s slow to boot! 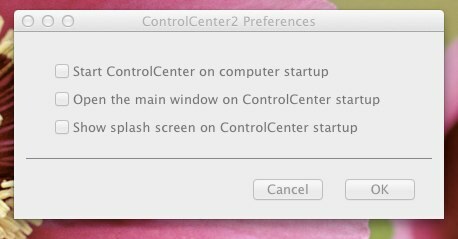 Then you remember, click on the system icon, go to preferences, uncheck display at start up, hit ok, and you’re done. Then you reboot again and BAM! There’s Brother right back in your face with the obnoxious control center again. You angrily click through to close it out, go BACK to preferences, UNcheck the startup option, and hit Ok. Now, because you’re NOT crazy, it’s time to make sure it saved what you did. You go BACK to preferences again AND IT IS STILL CHECKED! But let me share a secret with you. Let me save your sanity! Now, go back, one last time, into Preferences, and uncheck on startup, and press Ok.
Ok, fine, you can go check it again, but look! It’s listened to you!